kandeej.com: It's time for an "I love you!" 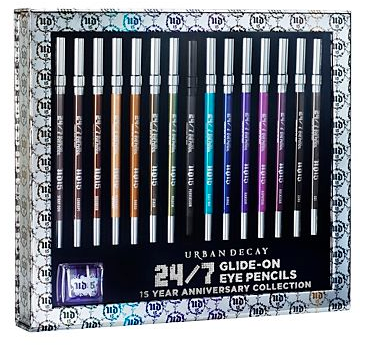 Giveaway- with URBAN DECAY's hot new stuff! I would like stray dog. LOL! Stash looks like such a gorgeous colour - I would love to try it! I LoVe the Electric - Bright Aquamarine color. PRETTY! Wow thanks so much for giving this away Kandee!! I love the color Electric, its gorgeous!! I looooooove Ransom and Zero!! Totally Love Bourbon! I got a small sample one a few months ago and it is so pretty. My two girls always tell me I am "sparkly" when I am wearing it! I love midnight cowboy!! Looks pretty for the waterline!!! Gos bless you kandee you're such an inspirational beautiful woman. my favorite color is green so naturally i looked at mildew & thought wow that is SO pretty but from this collection i liked midnight cowboy the best. its so versatile and pretty i would probably mix it in with mildew for a wood nymph/fairy effect. like in your tinkerbell tutorial.! that would be gorgeous :) may the lord keep blessing youu more than he already has. much love from houston, tx <3 -aimee reyes. Wow! Just one! I would have to say midnight cowboy! Bought it after seeing your bridal tutorial. I am a beginner MUA wanting to start with Bides and trying to take some classes out of town next month but not sure if I can afford them along with hotel. The cost of starting a bridal pro kit has been so heart breaking expensive. And with a child, mortgage, and bills I feel like I'm sinking. the time!!!!) I see that no matter the obstacles put in front of you, you remain strong and continue making your dreams come true. You inspire me daily, and show me no matter what I can also make my dreams come true. Thank you so much!! And I hope you will accept the biggest hug from my heart to you!! I love Asphyxia! I have blue eyes and I think this would just make them pop!! I'm stepping outside the box and really playing around with colored eye liners so this would be perfect!! Its hard to pick just one but I love Asphyxia! Thanks so much for having a giveaway! I Would be blessed to win all of these beautiful colors, I love electric- bright aquamarine :) kandee your wonderful for giving us this opportunity! Love you! Electric. It reminds me of soothing things- my mother's eyes, the calm waters of islands where I'd one day love to relax and a spring morning's perfect sky. Wow Kandee really we are suppose to tell you which one is our favorite...I can't choose. Okay ELECTRIC, OMG this color is to die for and also Asphyxia because this is what this color is doing to me totally. Last but not least is ROCKSTAR because we all need a little rock and roll in our life...I love UD!!! After looking at all the colors I think I need random... like I need it to live!! Color is my friend! After looking at all the colors I think I need ransom... like I NEED it to live!! Color is my friend! I love Perversion! Thanks for the contest! Asphyxia is my favorite!! Wow i would truly love to win this!! Than you for this giveaway!! Love u Kandee you are truly an inspiration! I love the color mildew! 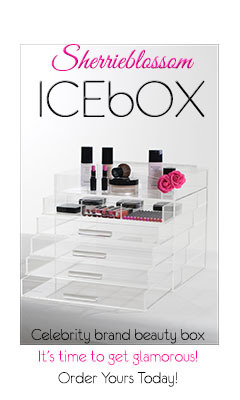 I've never ever tried anything from urban decay and would love to get the chance to try! Pervesion will be my color and i think their pen is the best in the market.Unfortunately, i miss this nice box so maybe i will be lucky. Hey Kandee! So my favourite colour would have to be Electric. it's bright, beautiful and girly (i guess :D). i would really love to get the prize so i could give it to my friend. she is a huge fan of yours and just an amazing person in general :D best wishes and hugs from Lithuania! I love Baked, I think it would look great with blue eyes!! I love the MILDEW!!!!! I have green eyes and I think that green would just make them POP!!! Love it!!!! Perversion Please! I've never tried these before, it would be so much fun, good luck to all! Hi Kandee, I really love Ransom! I've been looking for that kind of purple for so long but couldn't find it. I live in Belgium and you can't buy urban decay here. And it's ridiculously expensive to ship it in. However urban decay is my favorite brand since my sister bought me the naked palette from new york. So I would love to win this! 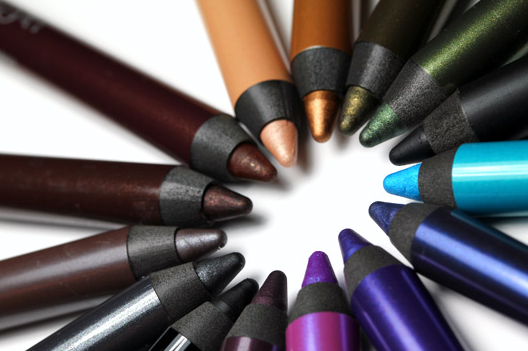 Also because you can't buy a good eyeliner in another color than black or brown over here! stash looks like an amazing colour! Midnight cowboy looks fantastico! I think it would be N amazin eyeliner! Thanks kandee baby! I would love to try Perversion! But all of them look amazing. I love the colour Midnight Cowboy but they're all great! so kind of you! Stray Dog - Nice Taupe color. Black and white is too common for me. I want to try something new. My favorite color is deep turquoise-teal. asphyxia looks interesting, i'd love to try it. i don't like how gray the zero liner comes up, so i hope perversion is the blackest black! I love the color is turquoise! For now my favorite is gonna have to be Midnight Cowboy, which is also a great and fun name. Bourbon! Such a unique brown! Oh my goodness! what an amazing opportunity! Kandee you are so sweet! this is ultimately an answered prayer! i have wanted that palette and those gorgeous eyeliners since i first saw them at sephora but unfortunately, working at chickfila, i do not make that much money and need to keep what i do have for continuing college so this opportunity is amazing! i think my ultimate favorite color is the teal-ish one. they all look amazing but i have ultimately been really wanting a teal eyeliner and never able to find a great one. thank you sooo much again! My favorite color is turquoise and perversion. Thank you for the give away. I love the names they come up with for these colors! Asphyxia is pretty - the pinky iridescent purple color. OMGGGG thanks Kandeeeeeeee!!!! i know only one person can win but that doesnt mean only one person should thank you for this!!!! thanks for doing it anyways :) and my favorite color is Binge. I loveeeeee navy blue s.
But I think all these colors are just beautiful! I love them all but Electric looks fun! Thanks Kandee for the contest; you're too sweet! I love ransom. Purple is my favorite color. Also the Electric looks amazing. I like Asphyxia! It's beautiful! I think all the colors are delicious , but Midnight cowboy is such a pretty party color PLUS the name is romantic! I wanna try Electric! I love turquoise!!! stray dog is catching my eye!! Rockstar is my favorite! I have brown eyes, and it really makes them pop! But, for now i would LOVE to have Perversion and Binge, they are Simple yet Elegant, Gorgeous and Classy. It's a tie between Ransom and Asphyxia. I am in love with their purple liners. And, Kandee, you're such a sweetheart! I am really drooling over "electric" the color is so fantastic and will make any eye color pop and will be great to start my collection with as a budding makeup artist. This color collection needs to be in my palette so I can share the beauty with all my clients. Purple makes my green eyes stand out, so I think I like RANSOM. Love your videos, you're the bubbliest most inspirational woman.